Section C is heavily involved in bunk war! Campers were building, painting, practicing and preparing for the three grand plays which took place last night. Today, after another day of the war, they are gearing up to the climax with their grand sing tonight iyh. Yesterday afternoon Section A (grades 3 & 4) left camp before lunch, and headed to the old port of Montreal – for an amazing speed boating trip, followed by a picnic lunch. Section B (grade 5) headed out to a trip of paintball shooting. All sections met at the overnight sight for another amazing (dry) overnight at the camp site. They enjoyed the delicious barbecued hot dogs and roasted marshmallows as they sat around the fire in song! This morning after shacharis and breakfast sections A and B headed back to camp, while section B+ (grade 6) on site for their turn to play paintball shooting! All campers will be given time for rest and shower before bouncing back to our regular camp schedule. Mazel tov for the simchas celebrated in camp this week, with lots of family joining the CGI Family. Mazel tov to, Shalom Wolvovsky, Levi Rapoport, Yehuda Rapoport, and Srolik Melamed, upon their Hanochas Tefillin; and Yisroel Drizin, and Levi Blotner upon their bar mitzvahs. Wishing all the families a big mazel tov with lots of nachas! What a visiting day! 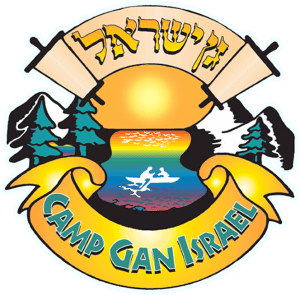 Thanks to all the visitors that made the long trip up to camp to enjoy visiting with your camper, the choir, acrobats, our beautiful grounds and the special Siyum Sefer Torah that took place. It was indeed a very special day with a very special simcha! Last night, section C bunk war broke out! The section is divided into three teams, with the campers doing it all; they are the generals, captains, song writers, play writers, actors and more. Each team is assigned a staff member as adviser, but it really gives our young bochurim the chance to step up to the plate and show their true talents and capabilities. Campers are quite involved in working on their theme and accumulating as many points as they can. Our hard working staff were once again treated to an incredible steak-evening-of-appreciation prepared for them by our kitchen and head staff! A special head-staff comedy show was enjoyed by all, as they relaxed and enjoyed their time together! Under a sunny sky we enjoyed a great day in camp of learning, sports and lots of water activities. Tu B’av was greeted with a lively dance night for our campers; and a Farbrengen, with Rabbi M. Wenger from Montreal, for our staff. Section C had a special sushi making event. Campers enjoyed creating, and then tasting their very own home made sushi! This morning campers woke up to a bit of confusion, as lineup was led by campers taking the role of the staff! “Topsy-turvy” was introduced by campers collecting signatures yesterday, and got themselves voted into their positions of choice! Always a fun day in camp! Looking forward to a very special Shabbos Nachamu here in camp. See you all on Sunday IY”H! We look forward to greeting you here on this upcoming Sunday, July 29, 2018 (17 Av) for a very special visiting day iyh! Visiting day hours are 1:00 pm – 6:00 pm. At 6:30 pm campers will be heading to learning classes. Please schedule your departure before then. We will be celebrating the (Alumni) Siyum Sefer Torah in honor or Rabbi and Mrs. B. Mockin between the hours of 3:00 pm and 6:00 pm. The program will begin with completing the Torah, Choir, Marching and Hakofas. We look forward to sharing this special Simcha! To be a part of it please visit www.cgimontreal.com/torah. Grade trips continued yesterday with a large section of camp, section B+, (grade 6) having their turn for an amazing day out. Campers enjoyed an incredible day at white water rafting! This was the first time that most of our campers experience water rafting, and they had an absolute blast at it. Following their fun, they headed to a restaurant in the Cavendish mall food court in Montreal! After a generous and delicious dinner, they returned late last night, in great spirits bh! This morning after breakfast our youngest campers will be leaving on their very own grade trip. Section A is heading out to an amazing trampoline park in Laval! The huge, indoor facility is the perfect outing for our little guys, as they brave the rain in Montreal! The nine days are over and the buses are back on the road bh! While sections A and B+ got to enjoy our sports fields, lake and pool, sections B and C were out all day. Section B (grade 5) left early Monday morning for a full day trip to Ottawa, Ontario! They appreciated seeing the many famous landmarks, as well as enjoying some great activity in the Ottawa Trampoline park. They returned late last night after a full day of great fun and interesting stops. Section C enjoyed an amazing day of white water rafting followed by a special restaurant meal in the Cavendish Mall food court. They too returned quite late last night after an incredible day. Camp had a bit of a late start today for the benefit of those that needed to catch up on some much needed sleep! Have a great day! Mazel tov to Sholom Schwartz of Brookline Massachusetts, upon his Hanochas Tefillin, being celebrated in camp here today; surrounded by his family and and friends. Mazel tov to the entire family! After a lively Shabbos, we went into Tisha bav with the traditional “kamtza and bar kamtza” skit, followed by Eicha. During the day, after chatsos the campers were kept busy with sports; and entertained with two fascinating shows featuring reptiles from our friends at “Reptizoo”. Each bunk had a chance to watch both shows demonstrating, describing, and feeling the unique reptiles that were brought into camp by the professional staff from Reptizoo. Last night, we broke our fast with a special dinner of lasagna, vegetable soup, and corn on the cob, salad and special warm chocolate buns baked in house by our amazing kitchen staff. Laundry was prepared by most bunks, as camp quickly gets back into the pre- nine-days- mode! Lots of trips to follow iyh. Have a wonderful week. On Thursday evening, after a day of great sports and activities, campers of all divisions of camp filled the bleachers of the shul for another amazing in house entertainer. The mentalist, and mind reader had everyone on the edge of their seats as he entertained, amazed and surprised the audience. The show was amazing for all ages, staff included! Campers headed to their bunks following Marriv trying to figure out how he did it all. When all was still and campers were asleep, our hardworking staff members were once again treated to a staff appreciation event! Prepared by our kitchen staff, and the head staff, the dining room was beautifully decorated and the menu of pizza, poutine and lots of salads, was professionally prepared. A great time was had by all, as the staff enjoyed farbrenging together! Our new campers have adjusted really quickly and sports took off to a great start! We had our very own in-house Archery activity in camp yesterday. Every bunk from every department had a turn for this amazing lakefront activity. Garbed in face masks the teams enjoyed an incredible time with the bow and arrow archery game. Last night Section C had their official sports draft. Each camper now as his team and is prepared for some great sports leagues to follow. Mazel Tov to Shneur Zirkind form Fresno California, and Meir Smetana from NY for their bar mitzvahs celebrated here in camp with family and friends. Mazel Tov to Mendel Rader from Montreal, upon his Hanochas tefilin – which took place in camp with his family and bunkmates. Lots of nachas to all! Campers departed to the airport, Montreal and NY yesterday after an amazing month here in camp! This morning, we greeted our new campers bright and early, and had an early start to our new session. Following shacharis and breakfast, campers filed into the shul to hear their new bunks and counselors. Our new campers have settled nicely into their bunks and are heading off to the dining room for our first delicious lunch of second session. Excitement is in the air as our new campers are being guided by the campers that remained in camp from the first session. Looking forward to a great season together! Later this evening, parents will be receiving an email with the bunk and class lists including the staff. Once that email is received, you can email your son through our website, using the bunk number. Please limit the email to four emails a week.